1) Show your home in its best light. 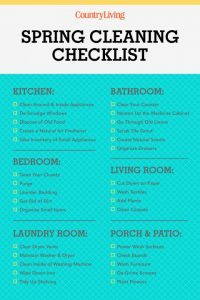 Take on spring cleaning inside and out. Organize then clean every room inside your home. Don’t take shortcuts. Instead of washing around the appliances or vacuuming around the furniture, move it, clean the item, and clean the surface. Remember most buyers want to buy a home that has been cared for and well-maintained. Don’t let dusty baseboards or shower grout ruin your home’s first impression. 2) Create an inviting exterior. For a good first impression, create a clean appearance inside and out. Power wash your siding and sidewalks. Wash the windows inside and out. Make sure all debris from winter and the remaining leaves from fall are removed. Keep the lawn well-maintained. Add a splash of color with a few patio planters. To sell your home quicker, make your home appear more spacious by putting away bulky winter clothes and jackets. Put away personal items and trinkets that makes your home appear cluttered before the showing. Reduce the buyer’s perception of necessary work by completing easy, inexpensive, and quick projects. Adding a fresh coat of paint is an easy way to update your home and sell it faster. 4) Inspire the buyer’s imagination. Create an appealing environment outdoors with a relaxing, soothing landscape. Help the potential buyers picture themselves sitting on the front porch or back patio.Create an inviting environment indoors with seasonal colors and scents. Put away your winter wardrobe and bring out the bright colors or floral designs. Bring the spring aromas indoors by diffusing spring scents or setting out fresh flowers. Take on minor home improvements such as installing a new entry door to reduce the buyer’s perception of necessary work. Always evaluate the cost and value of the improvements before taking on a project. Visit Remodeling to evaluate the cost versus value of a project. 6) Price it right the first time. Even though it’s a seller’s market, it is important to pay attention to the homes listed in your market. Reasonably priced homes in the local market will sell more quickly. Sellers will see many buyers at showings and may receive multiple offers if priced right. Follow these six tips to improve the physical appearance of your home and get it off the market sooner.